The loan processors job has always been like that of a cat on a hot tin roof. The heat on the roof has exacerbated, after the rolling out of TRID, It has introduced more tasks, due diligence, and responsibility to the department, making the job all the more fast paced, shoving them down a roller coaster ride more often than not. Today, your processor needs to be extremely organized, managing pipeline, deadlines, and documents with utmost efficiency, all while keeping their clients’ in good humor. And like always, there is no room for error. Everything must make sense once the file actually hits the underwriting department. Ask a client-facing employee about keeping “clients in good humor” and it won’t take you much to catch the sigh. Now, ask a loan processor, and the sigh could well be louder than you anticipate. And that’s because, loan processors have more clients to satisfy than any client-facing employee. They have a client in a borrower, whom they need to guide from A-Z; they have a client in the nervous loan officer, who have a realtor relationships to maintain; they have a client in sale partners chasing them with SLAs and an equally demanding client in an underwriter, always looking for the right explanation. Simply put, being well organized is not the only quality that your loan processor needs to have. To handle pressure from all directions, your loan processor must have a positive personality, with great communication skills and even double up as a therapist to calm down borrowers, loan officers and underwriters. And to cap it all, they need to have the yearning to learn and get on top of the changing rules. If you are waiting to catch all of these traits in the processors you hire, you may have to wait endlessly. An easy way out, is to outsource the bulk of your loan processing requirements to a third party back-office support provider. A reliable 3rd party support provider will ensure proper documentation, will calculate the numbers correctly and double check that everything is stacked in the proper order. 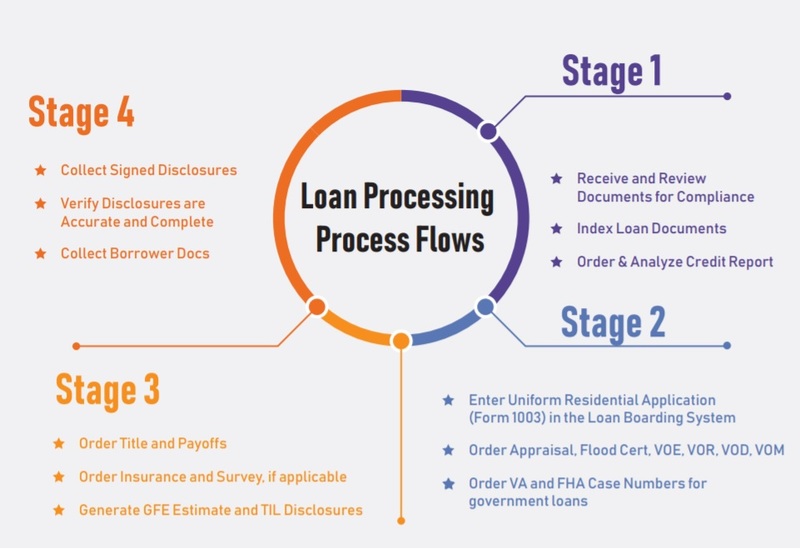 When the loan information and application to be presented to the underwriter is properly taken off, you take bulk of the pressure from your processor’s shoulders and help them focus on coordination, which is critical to overall efficiency. Expert Mortgage Assistance has more than 10 years of experience in managing the back office mortgage loan processing needs of mortgage lenders and credit unions. We bank on a well-developed process flow marked with optimized pipeline management and tracking system, a dedicated compliance team and multi-tier document review process to guarantee accuracy and completeness of information validation. A processor’s job is one of the hardest in the world. Lenders, for their own good, should not make them bite more than they can chew.